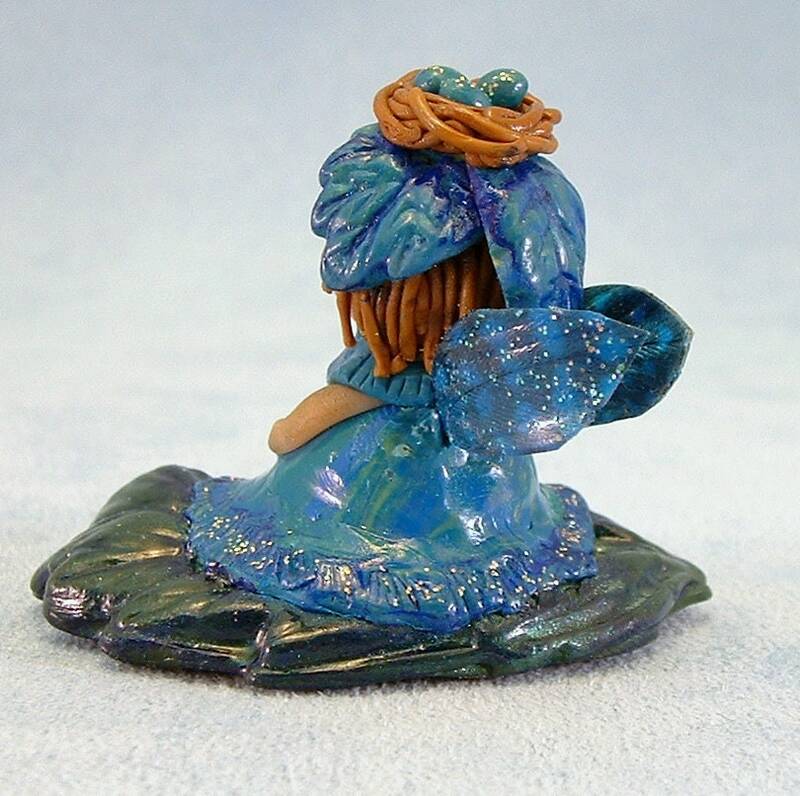 Pixies are wondrous little creatures from the magical world of fae. 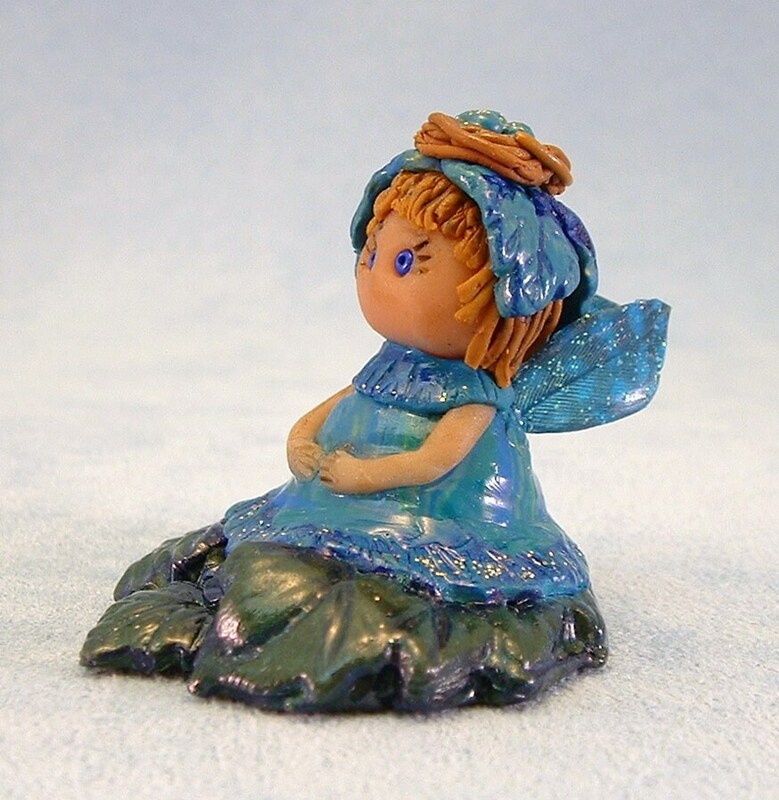 They are one with nature and help with all kinds of magical tasks like helping flowers and plants grow and watching over the little creatures of the forests and woods. You might even see one in your garden! This is Brenna, a woodland pixie. She is babysitting this little bird's nest to keep the eggs warm and safe. She does this every Saturday afternoon for the parents so they can have a little break and some fun! 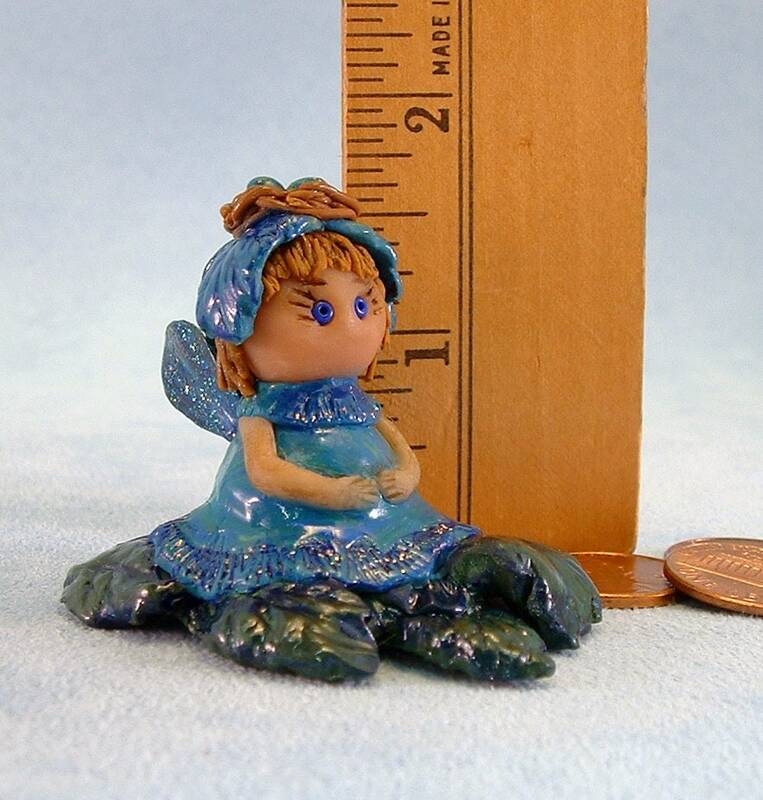 Hand sculpted out of polymer clay. Wings are feathers and pixie dust, eyes are glass beads. Initialed by artist (me!) Will not be another exactly like this since it is a handmade free sculpt but it's possible I would do a similar one in the future. Ready to ship, listing is for the pixie you see here.